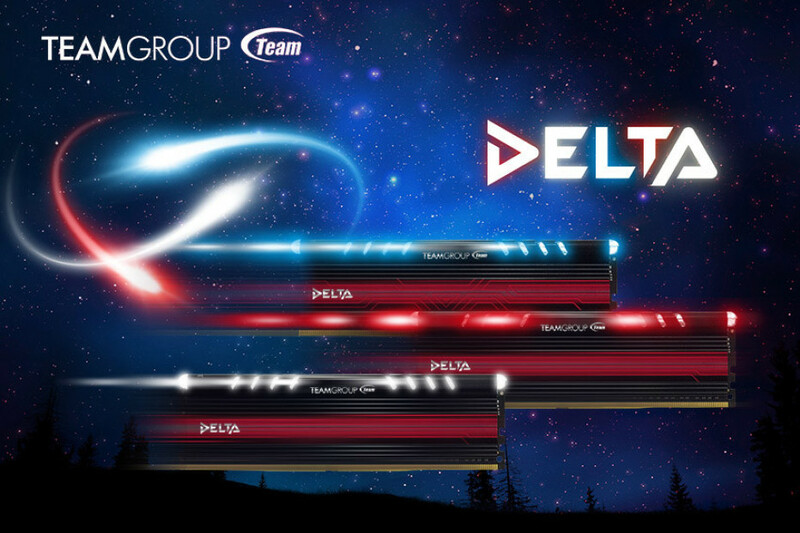 The RAM memory module maker Team Group has announced the new Delta line of DDR4 memory modules. The new line includes four memory kits that run at 2400 MHz or 3000 MHz and each one of them comes equipped with a special colored aluminum heat sink that keeps the memory temperatures low. The Delta line of DDR4 memory includes modules with 4 GB and 8 GB of storage that are grouped in kits of two. The 2400 MHz model of the new DDR4 memory runs at 1.2V at 15-15-15-35 latencies, while the faster DDR4-3000 memory needs 1,35V and latencies of 16-16-16-36. All Team Group Delta memory modules support Intel XMP 2.0 and offer a lifetime warranty.